My client Kate loves her Trixie 5-in-1 Activity Center! 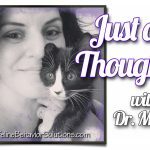 Is your cat bored? Does she sleep ALL day, or does she beg for your attention? Is she mischievous, getting into things that she shouldn’t? 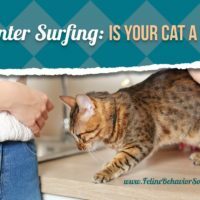 If so, you may need to give your kitty something on which to focus her attention and energy. Even if you have toys around the house, she may be bored with them, or she might not like playing with those particular toys. 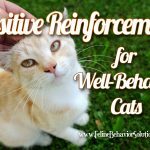 Mental stimulation is essential for kitties because without it they can become bored, stressed, or even depressed…all of which can lead to behavior problems. 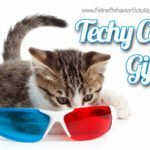 Enrichment, which is defined as “any artificial or natural item that stimulates a pet physically, mentally, or socially”, is a necessary part of your cat’s day and is important to keep mind and body healthy. But what can you do besides give your fuzzy mice toys and a cat tree? 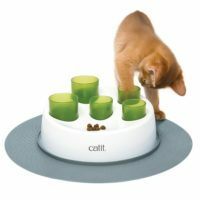 Enter: food puzzles for cats! What is a food puzzle? 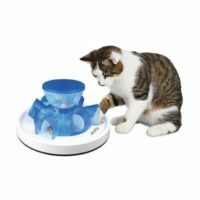 A food puzzle is any type of container that holds food or treats, that the cat has to figure out in order to get the reward inside. There are two basic approaches to using food puzzles. 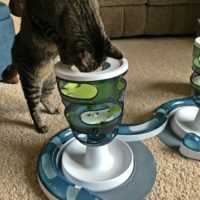 First, you can use food puzzles to give your cats treats that are supplemental to their meals (make sure you account for these treats in your cat’s overall daily caloric intake!). 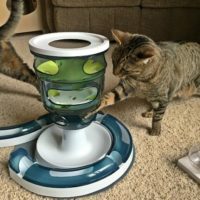 Second, you can use “puzzle feeders” from which to feed your cats exclusively. 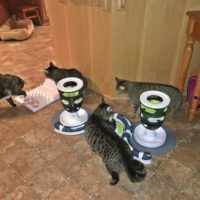 There has been some recent research to indicate that cats prefer working for their food, and that the challenge of getting their meals from puzzle feeders may be more “natural” in that puzzle feeders promote multiple small meals throughout the day instead of one or two meals given to them in bowls. 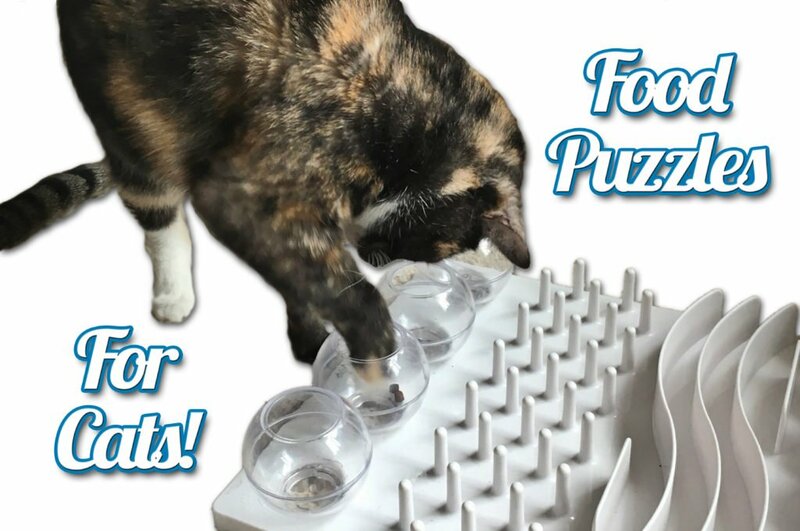 This article will focus on using food puzzles for supplemental treats, but I’m planning to write another article soon about puzzle feeders…so stay tuned! Once your cat has figured out the simple tube puzzle, make it a bit tougher. Cap one end of the tube with a paper towel and tape (or just crumple up a paper towel and put it inside the tube), then put kibble or treats inside. Next, you can cut or punch holes in the tube that are a little bigger than the treats and seal both ends of the tube. She’ll have to roll the tube to make the treats fall out. Even tougher: squeeze the ends of the tube shut and seal them with tape (so that the ends of the tube are flat. It will be harder to roll the tube to get the treats out. 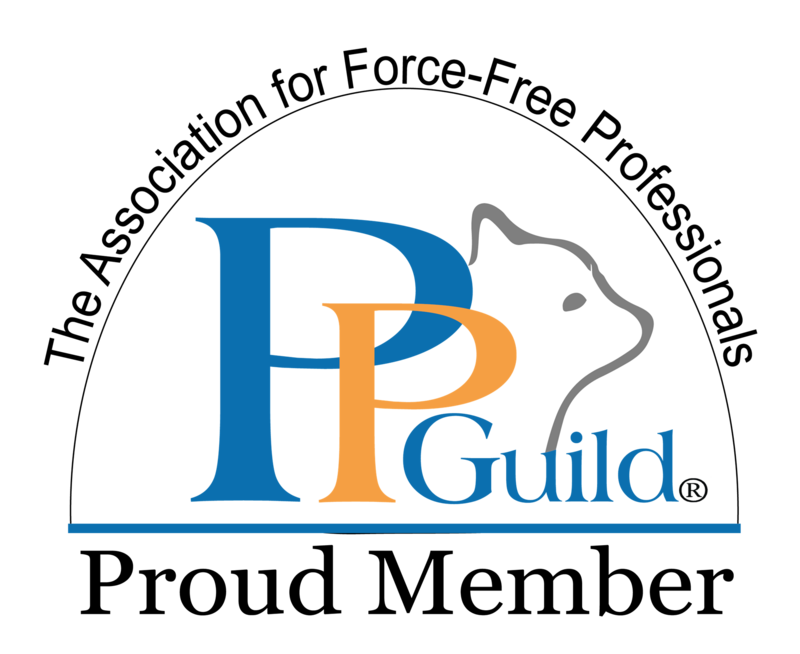 A word of caution: Please make sure that all of the materials you use to make food puzzles are safe and that they won’t be ingested by your cat. Supervise your cat when you give her a home-made food puzzle. If a food puzzle starts to wear out (e.g., the tape starts coming off, etc. ), throw it away and make a new one. 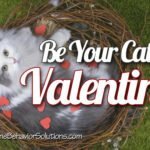 Additionally, make sure that you include the caloric value of kibble or treats you put in food puzzles in your cat’s daily total calorie budget! 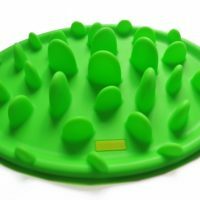 If you decide to use food puzzles to feed your cat regularly, give her a little less food in her bowl. 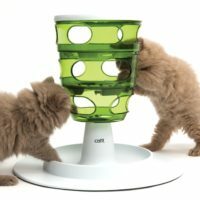 Food Puzzles for Cats: Intermediate and Advanced Users! Explore the world of DIY food puzzles! 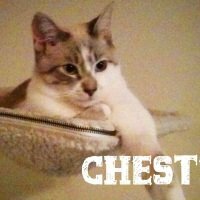 Search Pinterest or Google for “DIY food puzzles for cats” and see what comes up! To get you started, I have a Pinterest Board just for food puzzles. You can make food puzzles out of multiple tubes taped together, tubes set up vertically at different heights, egg cartons, yogurt or butter tubs…so many things! YouTube has some great tutorials on making food puzzles, too. 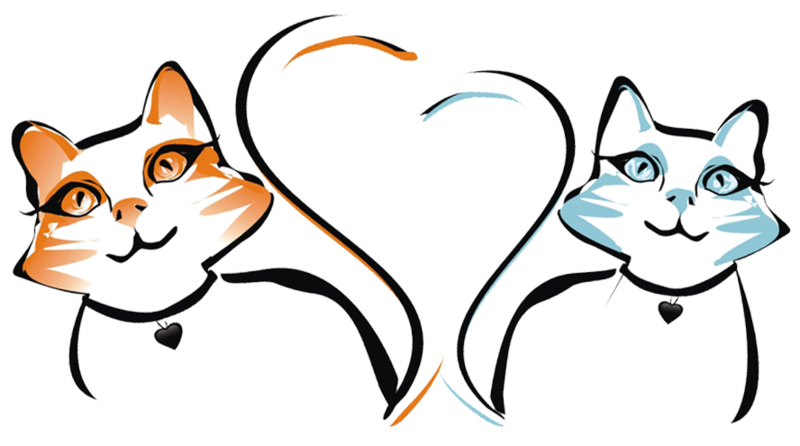 Additionally, there’s a whole website dedicated to food puzzles for cats. 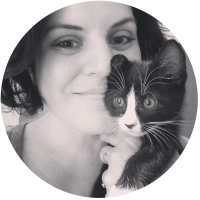 Take a look at the appropriately-named website www.foodpuzzlesforcats.com. 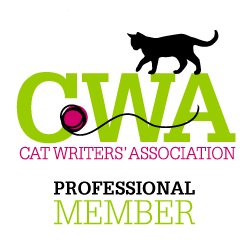 You’ll get some great information and ideas, and your cat will become a puzzle master in no time! 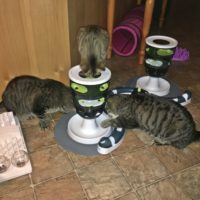 Food puzzles for cats in action! 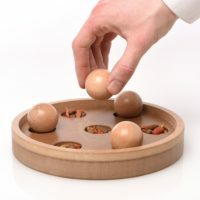 As I mentioned above, I’ve recommended food puzzles for several clients. Why? Several reasons. 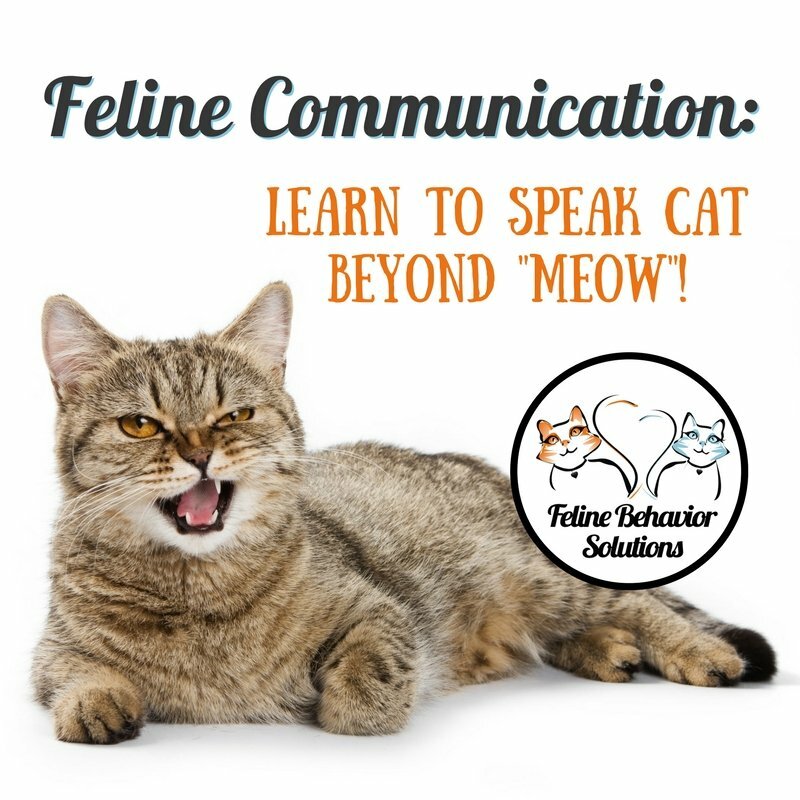 With one client, one cat was picking on the others throughout the day, and they often gorged their meals down at dinner time. 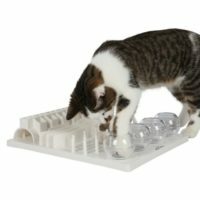 Giving those cats challenging food puzzles to play with throughout the day helped provide a distraction and mental outlet that helped relieve the need to attack other cats out of boredom, AND gave them a little nibble during the day so that they weren’t so hungry at meal times (and it also “desensitized” them to the “specialness” of food). 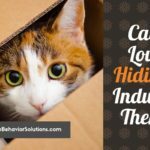 I recommended food puzzles for another client whose cat was experiencing separation anxiety. 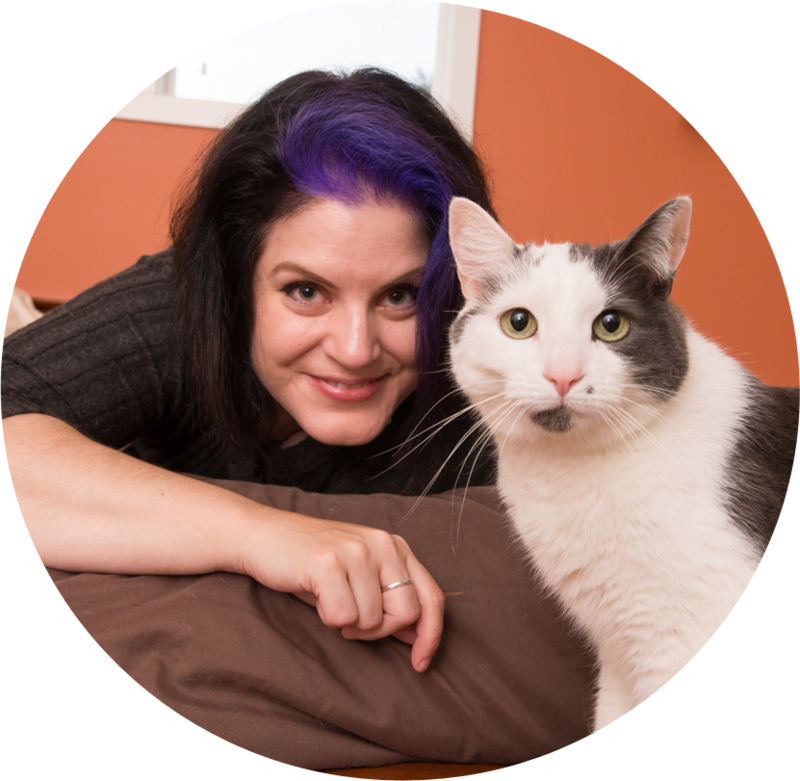 By giving her a food puzzle just before leaving, my client was able to provide a distraction from her absence, and give her cat something fun to do with a built-in reward. 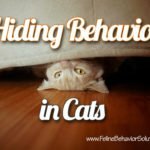 Want to see some cats in action? 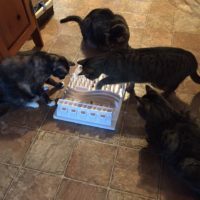 Here are some photos (click to enlarge) that one of my clients, Denise, provided featuring her five cats (Kate, Howie, Henry, Fiona, and Lily) loving their food puzzles! 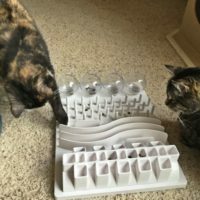 Do you think your cat would like a food puzzle? Give it a try – her reaction might surprise you! 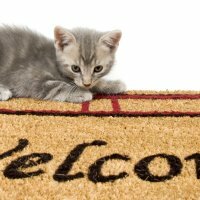 Enrichment for Your Indoor CatTrain Your Cat for Enrichment and Fun!